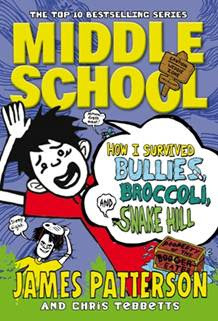 To celebrate the release of Middle School: How I Survived Bullies, Broccoli, and Snake Hill available in hardback from 20 June 2013, we have 3 copies to give away! Booktrust’s Children’s Reading Fund co-founding partner James Patterson, one of the best-known and biggest-selling writers of all time releases his latest book for kids MIDDLE SCHOOL: HOW I SURVIVED BULLIES, BROCCOLI, AND SNAKE HILL a heart-warming and uproariously funny novel available in hardback from 20 June 2013. Rafe Khatchadorian, the hero of the bestselling Middle School series, is ready for a fun summer at camp – until he finds out it’s a summer school camp! Luckily, Rafe easily makes friends with his troublemaking cabin mates and bunkmate, a boy nicknamed Booger Eater, who puts up with endless teasing from the other kids. Rafe soon realises there’s more to a person than a nickname, though, and Booger Eater might be the kind of friend you want on your side when the boys from the Cool Cabin attack. Middle School: Get Me Out of Here! was a Sunday Times top ten bestseller in hardback. James Patterson is the first author to have new number one titles simultaneously on the New York Times adult and children's lists and his novels have sold in excess of 275 million copies worldwide, with over 13 million copies sold in the UK alone. In the wilds of New Zealand, renowned adventurer Bear Grylls offers a look at his exhilarating new survival competition show. The old shoes have been retired! Check out the new style choice for Ryan Stiles! 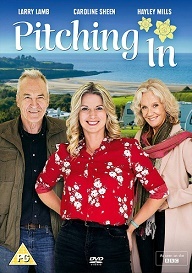 Catch the season premiere Tuesday, July 16! Camp premieres Wednesday, July 10 at 10/9c on NBC! We present to you thirteen of the hottest female tennis players including Daniela Hantuchova, Ana Ivanovic, Maria Sharapova and Eugenie Bouchard. Who is your world No.1 tennis babe? Comment! The "DWTS" alum reveals her tight tummy in a two-piece for "Women's Health" magazine. Check it out. http://www.bbc.co.uk/bbcfour Meet the media mogul who changed the way we watch our cricket and in turn, revolutionised the sport. Jem Stansfield explores a never used reactor core at the Zwentendorf nuclear power plant in Austria, to explain how a nuclear power station works. Helen Flanagan is reportedly very shaken but unharmed after her Cheshire home was burgled. 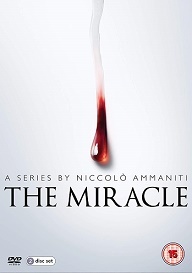 The official book trailer for No.1 bestseller Bernard Cornwell's epic new novel, 1356. Join the Greatest Unknown Battle in British History with the master storyteller. The Hundred Years War rages on and the bloodiest battles are yet to be fought. Across France, towns are closing their gates, the crops are burning and the country stands alert to danger. The English army, victorious at the Battle of Crécy and led by the Black Prince, is invading again and the French are hunting them down. Thomas of Hookton, an English archer known as Le Bâtard, is under orders to seek out the lost sword of St Peter, a weapon said to grant certain victory to whoever possesses her. As the outnumbered English army becomes trapped near the town of Poitiers, Thomas, his men and his sworn enemies meet in an extraordinary confrontation that ignites one of the greatest battles of all time. Andy Samberg and Andre Braugher star in BROOKLYN NINE-NINE, coming to Mondays this fall on FOX. Kim Kardashian has reportedly given birth to a baby girl in LA. The reality star is thought to have been admitted to a hospital on Friday. Report by Andrea Lilly. Kate Upton only just manages to contain her assets in a tiny white bikini on the set of her new film The Other Woman in the Hamptons, New York. Jane Campions highly acclaimed drama, starring Holly Hunter and Elisabeth Moss. Top of the Lake on BBC Two. It's the "Fashion Police" host's big birthday! Hear what Joan's telling us about fame, Mr. Right and why she prays every night for Miley. Stunning Heidi wears a form-fitting design with a cut that reveals her cleavage. Check it out. Boardwalk Empire Season 4 premieres September 8th. Only on HBO. "The Newsroom" is back for a second season on July 14th. Kenny Powers is back for one last season. Eastbound & Down Season 4 premieres on September 29th, only on HBO. The legal advocate is busted for being intoxicated while boating. Get the details. The model shoots a video for "Vogue Italia," where she shows off crazy beauty trends. Get a look at the vampire facial and cupping! The actor and Victoria's Secret Model Toni Garrn, visit the palace of Versailles. Get the scoop. 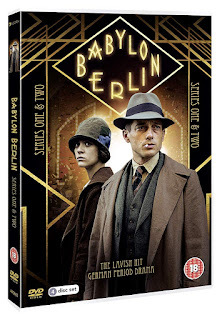 To celebrate the release of Teen Wolf: The Complete Season 2 on DVD on 10th June from Twentieth Century Fox Home Entertainment, we have got 2 copies to give away in this great competition! After an action-packed end to its premiere season, Teen Wolf jumps full force into season two with even more suspenseful drama. Scott McCall, an ordinary teenager with a wild secret, continues to find himself caught in a supernatural war between hunters and werewolves. While navigating the complicated roadways of high school, Scott must keep his forbidden romance with Allison a secret and protect himself from new Alpha wolf Derek. Scott will have to trust his instincts above all else if he hopes to end the war in Beacon Hills and keep his friends and family safe. Who played the Teen Wolf in the 1980's film of the same name? LONDON, UK – Heroes don’t come much tougher than John McClane, and to celebrate the release of A Good Day to Die Hard on DigitalHD™, Blu-ray, Bruce Willis’ no-nonsense cop is now getting his own workout. In a partnership between Twentieth Century Fox and London outdoor fitness specialists Army Boot Camp Fitness, Bruce Willis’ long-standing stunt double Larry ‘The Ripper’ Rippenkroeger was in the UK to launch the Die Hard inspired workout that says ‘Yippee-ki-yay!’ to boring gym regimes. Train Like McClane: The Die Hard Workout is a rigorous training session based on team work and designed to promote father and son bonding, much like the newest Die Hard film, in which John McClane (Willis) re-connects with his son Jack (Jai Courtney) in the most extreme circumstances. Launching in the build-up to Father’s Day, the workout is designed to give fathers and sons – or just friends – a fun and demanding exercise that they can enjoy together. 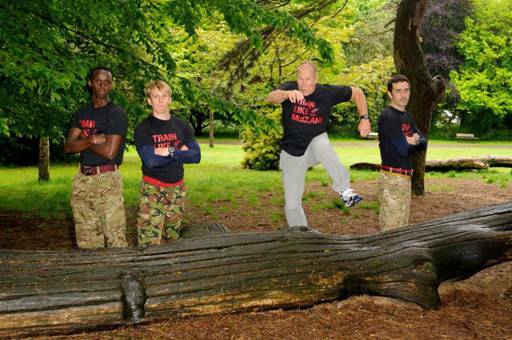 Mo Ahmed, founder of Army Boot Camp Fitness, says: “We’re thrilled to be launching Train Like McClane in partnership with the DigitalHD™, Blu-ray and DVD release of A Good Day To Die Hard and hope that John McClane can be an inspiration to get Brits fit this summer. Our ethos is ‘Get fit and have fun’ and this promises to be as fun as working out can be. 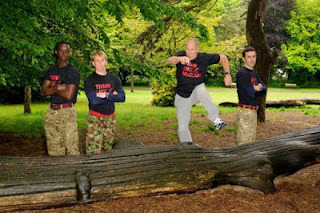 Train Like McClane: The Die Hard Workout was launched at Alexandra Palace on Thursday 30th May, with Larry Rippenkroeger taking part in the first session. Scenario based team-work activities included the Die Hard Sprint, Saving the Hostage and Like Father, Like Son Pull-up Challenge. Throughout the month of June anyone wanting to take advantage of the Father’s Day workout can attend as many classes as they want for the discounted rate of £35. A Good Day to Die Hard is released on DigitalHD™, Blu-ray and DVD on June 10th by Twentieth Century Fox Home Entertainment. Pam's racy new commercial gets pulled in the UK for being "sexist." Listen in. The reality star has shed some major weight and is giving fans her exercise secrets. Take a look.